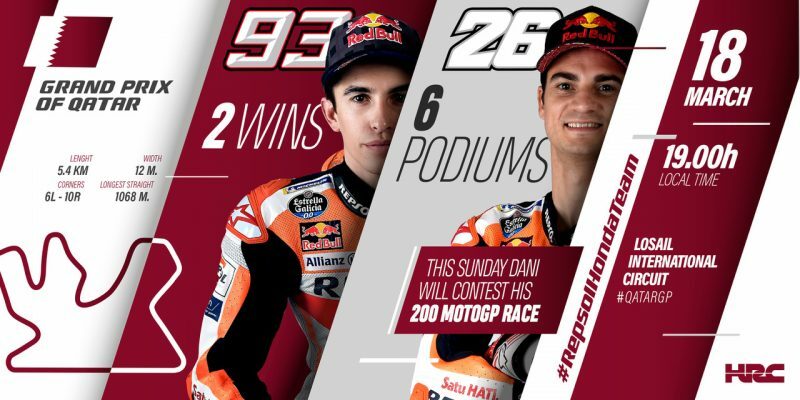 After a busy pre-season in preparation for the 70th Road Racing World Championship season, Marc Marquez and Dani Pedrosa are looking forward to kicking off their sixth and 13th MotoGP racing season, respectively, all of which have been raced with the Repsol Honda Team. 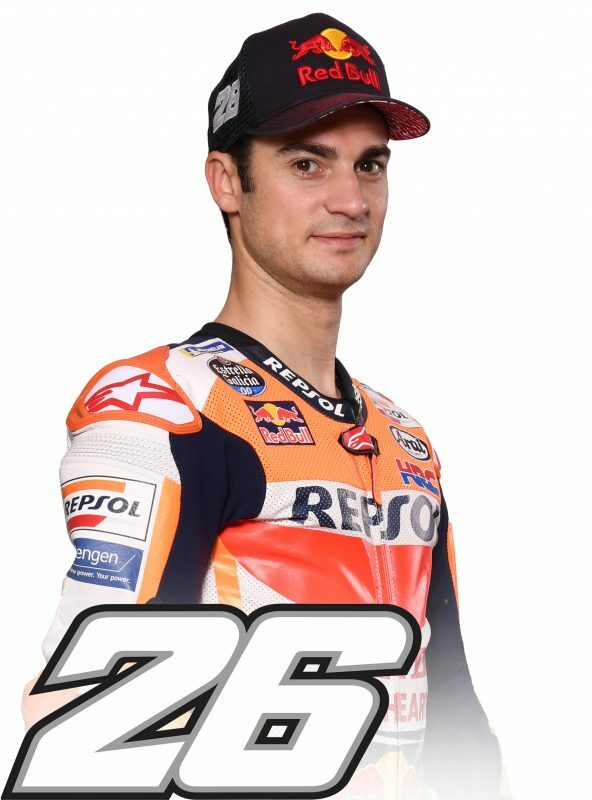 Marc will tackle the opening round in Qatar as the defending MotoGP World Champion and Dani will reach the important milestone of 200 starts in the MotoGP class. 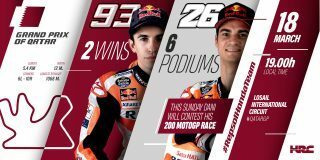 The Qatar stop is the only MotoGP race that is held at night, and this will be the 11th time it has been run under the floodlights. The time schedule has undergone some important changes this year, with the event being reduced from four days to the standard three-day period, as it is for the other venues on the calendar. Opening practice begins Friday. 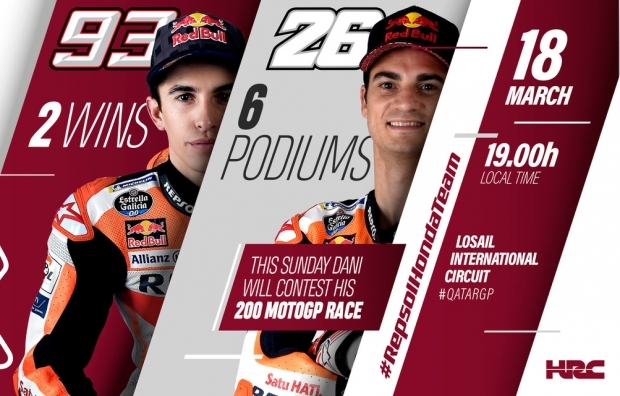 Each day’s events have been rescheduled, and on Sunday the anticipation for racing will build, with the MotoGP race running at 7 pm local time instead of 9 pm. 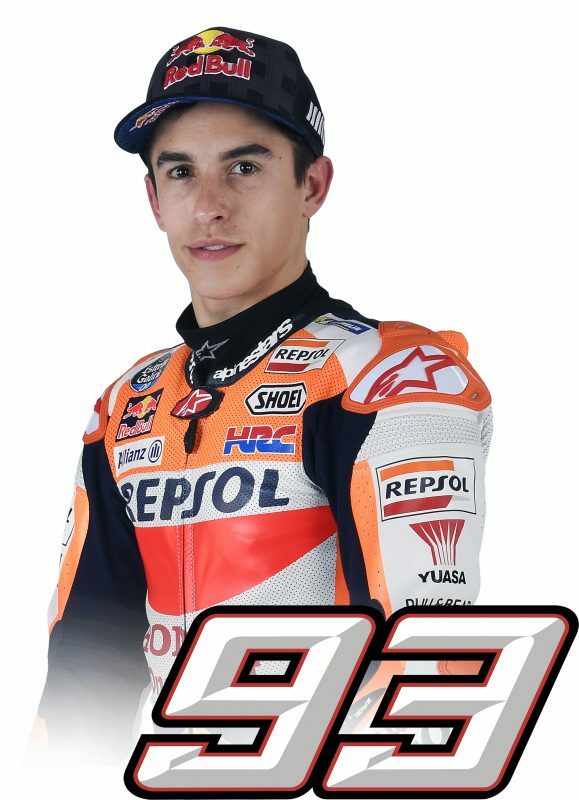 MotoGP FP1 will start at 2.45 pm local time on Friday.